This cute 12-inch baby horse is fresh as a flower! Sunny or cloudy. Rain or shine. Go ahead and enjoy the rein days. Enjoy bright and cheery days with a new four-legged friend, the adorable Our Generation Palomino Foal! 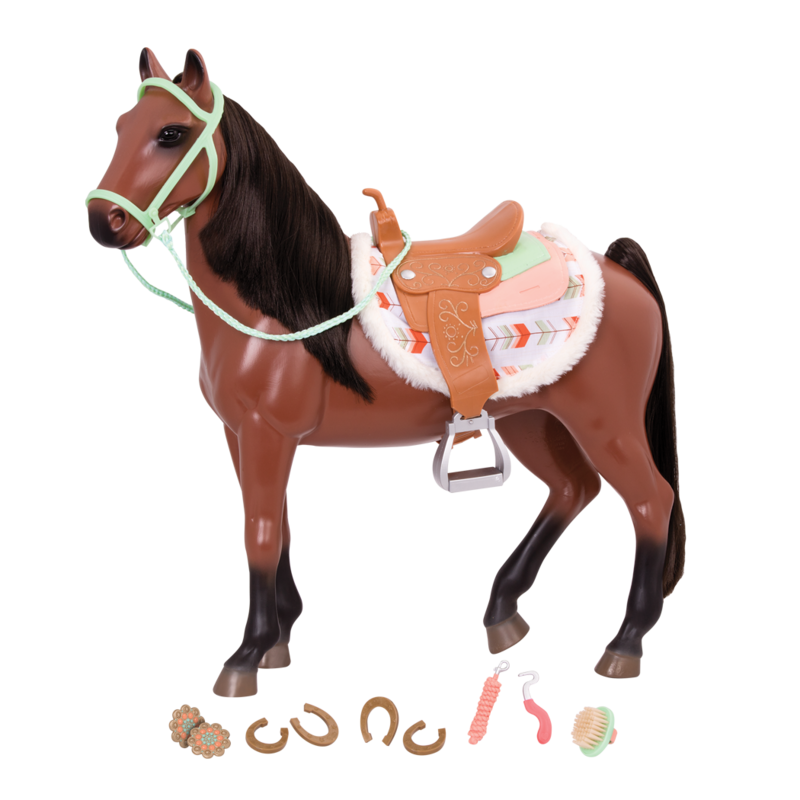 This charming 12-inch baby horse toy is ready for fun and adventure with your favorite 18-inch dolls! 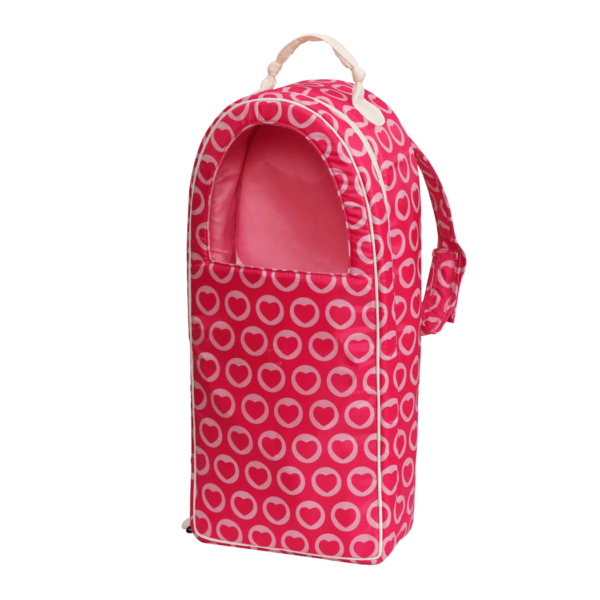 Because our generation of girls is filled with warmth, even when the chill in the air is biting our noses. We’re learning what’s truly important in this world. We’re raking leaves to earn spending money, shoveling out a neighbor in need, and even volunteering at school to turn the cafeteria into a winter wonderland worth celebrating. This is our time. This is our story. Prance through the meadows and take time to smell the flowers! 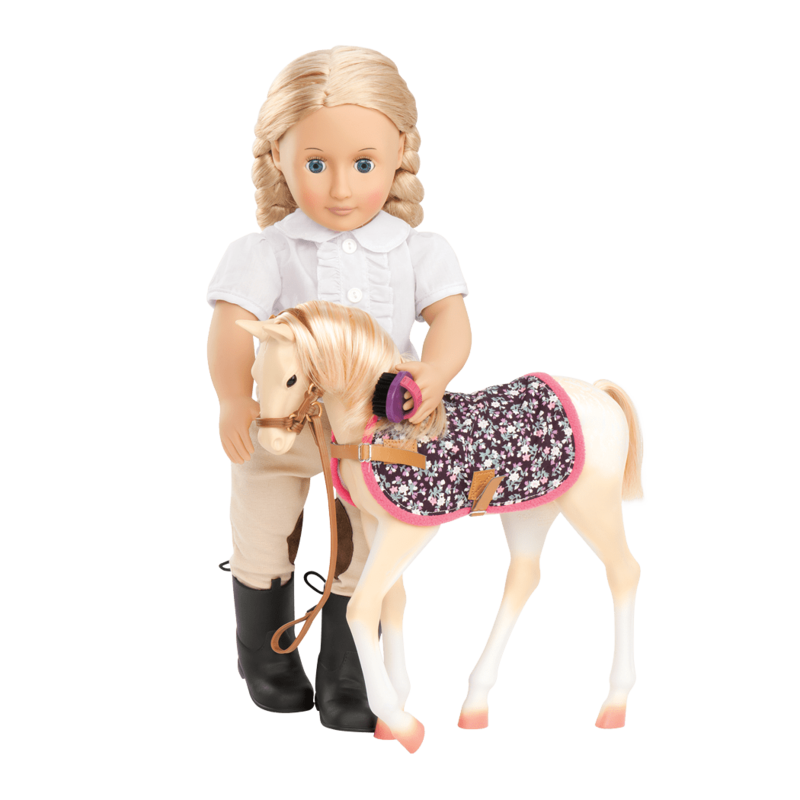 The Palomino Foal has a beautiful cream-colored coat and a blonde mane and tail that you can brush and style! 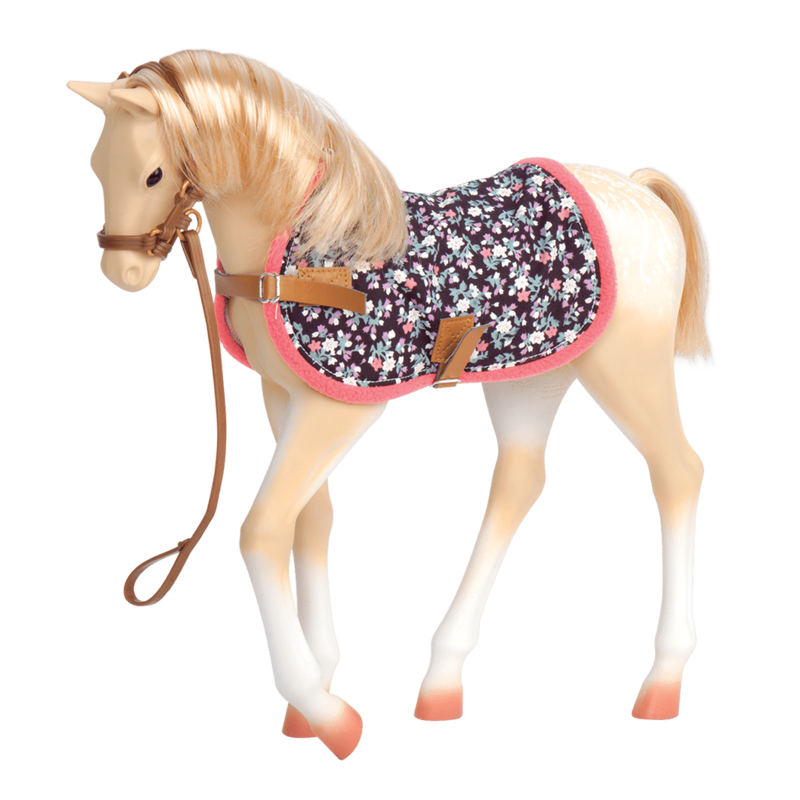 Dress your foal in the floral foal blanket to keep her warm, and use the matching faux-leather halter and lead to take her for a walk around the paddock. 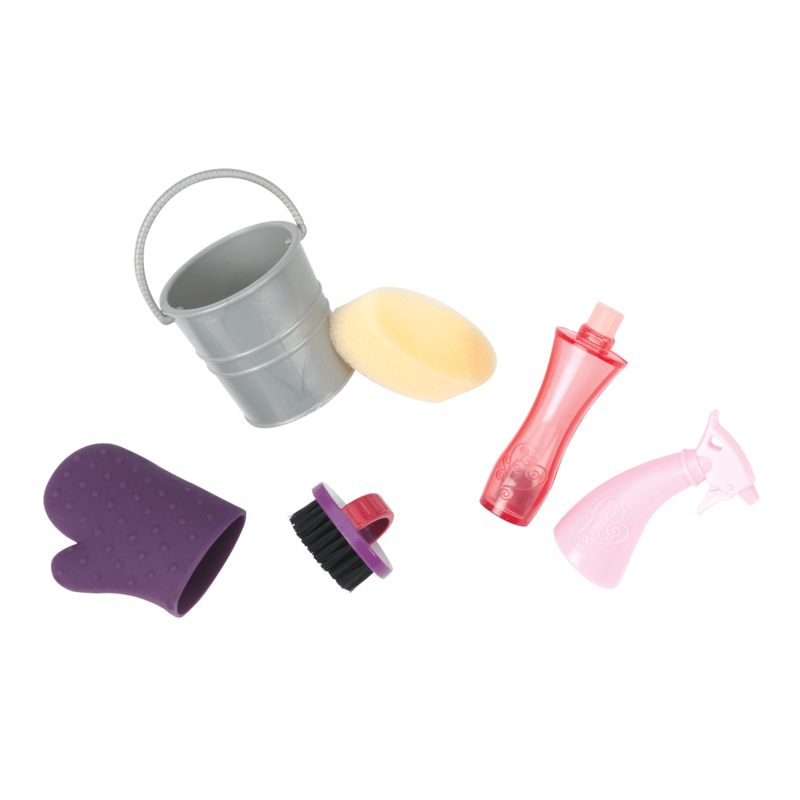 The set of grooming accessories includes a bucket, sponge, curry brush, cleaning bottles, and a grooming mitt to help you take great care of your baby horse friend. 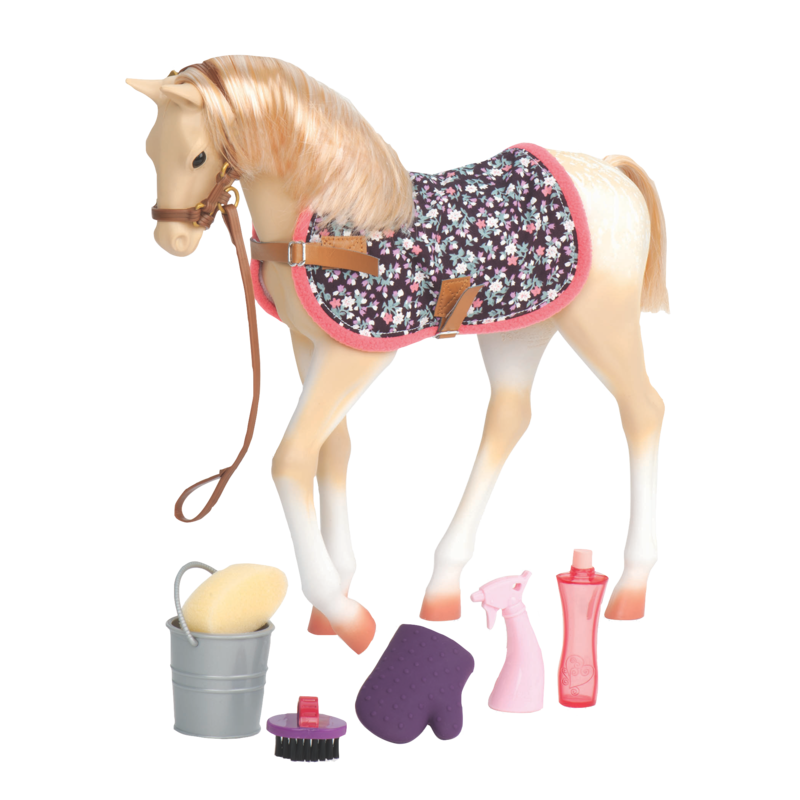 Teach your foal to do tricks with the Equestrian Style Set! 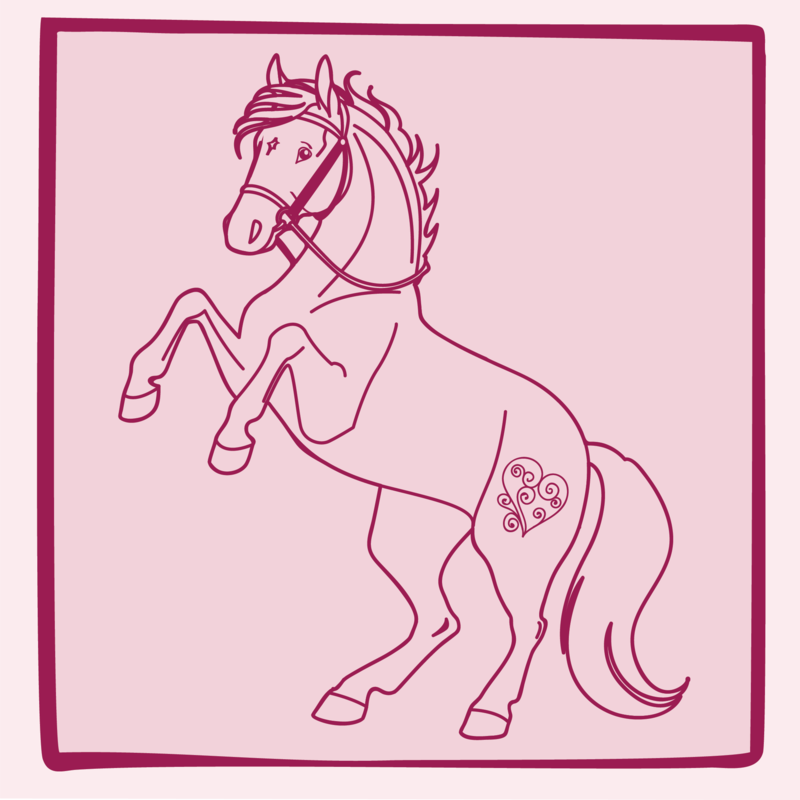 It includes a saddle for a full-sized horse, and an English-style jump that your foal can start learning to jump over! 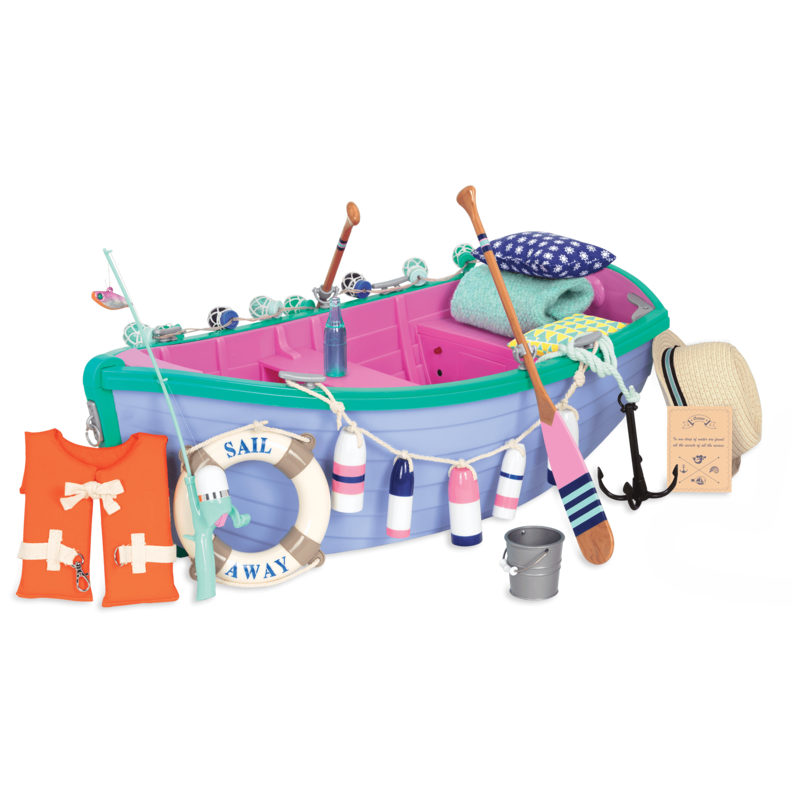 Make sure your foal has lots of energy for playing by giving them lots to eat with the Hay and Neigh Horse Care Set! It comes with a hay bale and other great horse care accessories! so cute! super smooth mane and looks easy to care for! this horse is so cute! definitly my faveroit foal! I cant wait to save up and see if it is as cool as it looks! if it is, home run,OG! This a pretty horse. 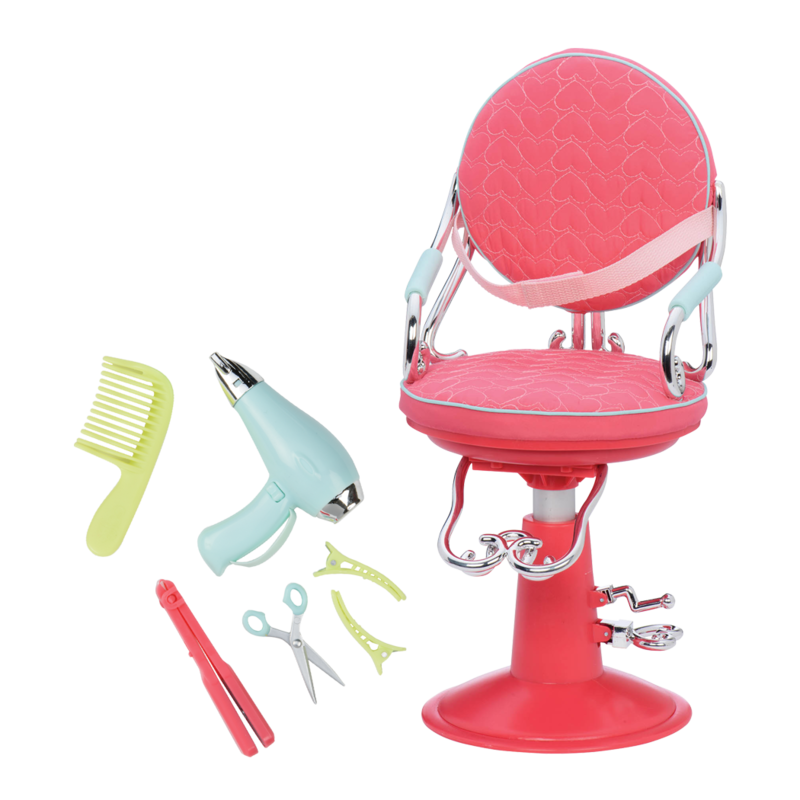 The mane is easy to brush, and the saddle thing is very pretty. The problem is, the dolls kinda fall off the horse when I put them on there. Other than that, it’s a cute little horse.